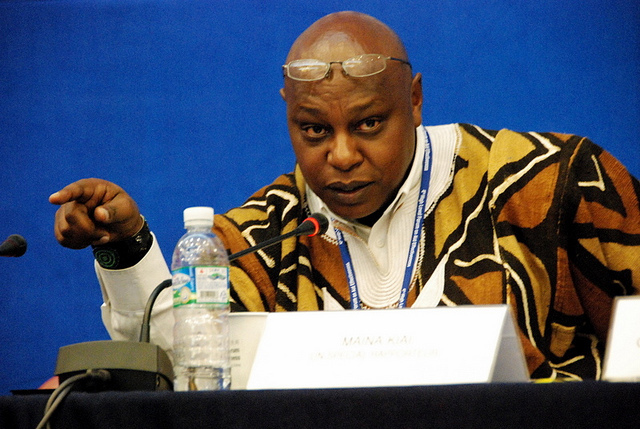 Lawyer Maina Kiai is scheduled to receive a coveted award by the human rights organization Freedom House at this year’s gala in Washington DC. Kiai is a household name in Kenyan civil society movement and continue to be at the forefront in championing best democratic practices, respect for human rights and freedoms as well as using his column in daily nation to continue conversations on contemporary issues in Kenya’s political sphere.Kiai is also the UN special rapporteur on freedom of assembly. The keynote speaker at the ceremony will beÂ Â Mikhail Khodorkovsky, a former Russian oligarch, and at one time the richest man in Russia with a fortune worth $15 billion. Khodorkovsky, named by a Russian magazine as joint person of the Year 2003, with Chelsea owner Roman Abramovich, was released from prison in 2013, after serving a long jail term on criminal charges, widely regarded as politically-motivated. He has been adopted as a prisoner of conscience by Amnesty International. Freedom House is an independent watchdog organisation dedicated to the expansion of freedom around the world.Â Founded in 1941, with the quiet encouragement of President Franklin Roosevelt, Freedom House has since been associated with the top leadership of US political society. Additional reporting from Daily Nation.